The city of Varna, Bulgaria, is the country’s largest port city on the Black Sea. Its history can be traced to Odessos, a 6th century BCE Greek colony. The town was then controlled by Thracians, Persians and Romans and it was eventually incorporated into the Byzantine Empire. Varna is the name given to the settlement founded by Slav tribes in the 6th century CE. An integral part of the medieval Bulgarian state after the 8th century, Varna was captured by the Ottomans in 1399 and remained under the rule of the Ottoman Empire for almost 500 years. Along with Shumen, Silistra, and Ruschuk (now Ruse), Varna was one of the four Ottoman strongholds in the northeastern region of modern Bulgaria. The first railroad in Bulgaria opened in 1866 between Varna and Ruschuk. This brought an economic development of the town and a significant increase in its population. The development of Varna continued into the 20th century when it became the third largest city of Bulgaria with more than 300,000 inhabitants. By the early 21st century, it had a thriving economy that combined international trade with an important tourist industry centered on the renowned Golden Sands. Jewish life in Varna started at the beginning of the 19th century. When the Ottoman rule ended, in 1878, there was an organized Sephardi community and a small Ashkenazi community. The first Jews to settle in Varna were active as merchants and artisans. As industry developed, many came to work as handworkers and clerks and a few were active in export. The Ottoman rule ending had made possible a rapid increase of the Jewish population in Varna. The number of the Jewish inhabitants grew from 255 in the late 1870’s to 719 in 1880, Jews comprised less than 1% of the total population of the city. Eight years later, there were about 760 Jews in a total population of more than 25,000. The number of the Jewish inhabitants continued to grow reaching 1,308 by 1903, 1,706 in 1910, and 1,615 in 1913, by then the general population numbered 37,417 inhabitants. During the war against Serbia (1885), the Jewish community of Varna participated along with other Jewish communities in providing funds for the equipment of the Bulgarian army. Many Jews were conscripted in the Bulgarian army and some women served as nurses. During the Balkan wars (1912-1913), 135 Jews of Varna were drafted into the Bulgarian army and Jews continued to serve during WW1 and a number were killed in action. Charity funds from Bulgaria and abroad supported the families of the mobilized men. The census of 1926 registered 1,806 Jews in Varna. The 1934 census found just 1,596 Jews living in the city, a number that ranked the Jewish community of Varna the fourth largest in Bulgaria. Before the onslaught of WW2, about 2,000 Jews resided in Varna, including Jewish refuges from several regions of Bulgaria as well as other countries. The Jewish community in Varna had two synagogues. The Sephardi synagogue was the first to be established at the end of the 19th century. It incorporated a room used for morning and evening prayers during weekdays. A smaller synagogue served the Ashkenazi Jews. Following the Ottoman model, each synagogue served a separate community. In Varna, as well as in other Jewish communities in the eastern regions of Bulgaria, both the Bulgarian authorities and the Jewish leadership allowed the existence of two separate communities. 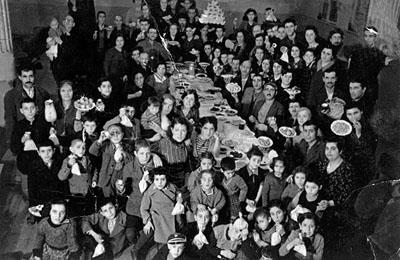 The Sephardi community, which was the majority of the local Jews, owned a community center with a large meeting hall. The community operated a Hevrah Kadishah (burial society), a cemetery and charity organizations such as G’milut Hassadim (general help for the needy) and Malbish Arumim (clothing for the needy). The first Jewish cemetery was near the seashore. This cemetery functioned until 1935, when it was confiscated and a city garden was planted on its ground. A new cemetery was opened the same year and is known today as the Old Cemetery. With the closing of the first cemetery, the community erected in the Old Cemetery a memorial wall on which it engraved the names of several hundred people whose gravestones were in the first cemetery. This wall still exists in Varna. The Ezra relief agency of the B’nei Brith movement was established in Varna at the beginning of the 20th century. The local branch was affiliated with the office in Istanbul until 1933, when it came under the jurisdiction of the office in Sofia. The hall of the Varna branch of the Ezra association served as venue for social and cultural events of the local Jewish community. After WW1, Jewish trade in Varna, as in other parts of Bulgaria was affected by the establishment of Bulgarian cooperatives. The Jews of Bulgaria reacted by creating their own cooperatives. With the aid of the Joint and the Geula Jewish bank in Sofia, the community of Varna founded Ahavat Achim, a Jewish Mutual Assistance Society, aimed at supporting local Jewish merchants and liberal professionals. In 1880, the JCA (Jewish Colonization Association) established an elementary school in Varna as well as two vocational training centers. Eventually, Alliance Israelite Universelle established additional schools and vocational training centers for boys and girls. Alliance Israelite Universelle opposed the use of its locals by the Zionist circles in Varna fearing a possible negative reaction of the Ottoman authorities against its chain of educational institutions in the Ottoman Empire. Later, a Jewish education system owned by the community was developed. During the 1920’s, it included a kindergarten, an elementary school, and a junior high school. In 1920, the Jewish educational institutions in Varna were attended by 184 students, almost 90 percent of the Jewish schoolchildren. By 1924, the attendance of Jewish schools in Varna had dropped to 154 students and 167 students in 1925. Attendance then declined to 125 students in 1927 and to smaller numbers during the 1930’s. The declining enrollment of Jewish children to Jewish schools reflected a tendency common with other Jewish communities in Bulgaria, especially among wealthy families, who inclined to enlist their children to non-Jewish schools. Zionist activity started in Varna in the early years of the 20th century. A branch of the Maccabi movement with 20 members was founded in 1902. Soon after, it became one of the most active and well established in Bulgaria numbering within a year and a half 120 members. 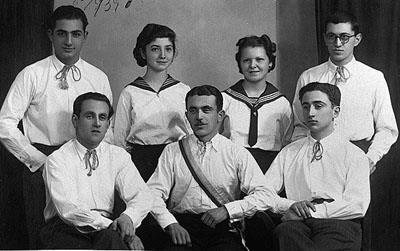 Maccabi Varna was instrumental in preparing instructors for other branches of the movement. In the summer of 1910, the 7th Zionist convention was held in the city and at the same time, a conference of the Maccabi representatives was attended by delegates from Bulgaria and Turkey. Zionist activity slowed during WWI, but increased in the following years. The local Zionist association held lectures on Jewish history and literature and published books on national issues. At the end of 1914, Jews from Varna participated in the national conference of similar Zionist associations in Bulgaria. In 1919, representatives from Varna took part in the national Maccabi conference that dealt with the renewal of the movement’s activity that discontinued during WWI. Teachers from Eretz Israel arrived in Varna in 1925. They were influential in the establishment of a branch of the Zofim (Scouts) movement, which later on became a branch of the Shomer Hatzair youth movement. 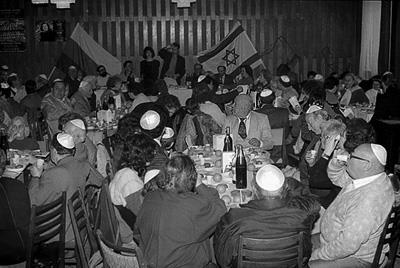 At the same time, other Zionist associations were established: the Revisionist party, WIZO, Poalei Zion and the Ha’oved movement for handworkers and artisans who prepared themselves for immigration to Eretz Israel. Young Jews were also active in the underground Communist party in Varna. During 1922-1927, Il Judio (“The Jew”), a Ladino language newspaper was published in Varna. The relations of the Jewish community of Varna with other Jewish communities in Bulgaria had periods of tension. Those of Varna, in 1926, opposed the policy of the Consistory of the Jewish Communities in Bulgaria concerning the subsidizing of training courses for Hebrew language teachers. The community of Varna appealed to other communities and complained about what they thought to be interference in the way the community managed its education budget. After six months of unsuccessful negotiations, the Consistory decided to expel the Jewish community of Varna from the organization. The decision was followed immediately by most Jewish communities in Bulgaria, including the larger communities of Sofia and Plovdiv. After a short time, the Jews of Varna acquiesced and accepted the policy of the Consistory. During the 1920’s, elections for the boards of synagogues and schools were held throughout all Jewish communities of Bulgaria every three years. In Varna, the Zionists won the majority of votes until the end of the decade. In the elections of 1929 and 1932, the non-Zionist opposition received a majority of the votes. The majority of Jews of Varna, like other in other communities in Bulgaria, were of Sephardi origin. However, Varna was also one of the few cities in Bulgaria that had a separate Ashkenazi community. Ashkenazi Jews, called Tudescos (“Germans”) in Ladino, settled in Varna before 1880. Their community, as a result, was also known as the Deutsche Israelitische Kultus Gemeinde, Varna (“The German Jewish Religious Community of Varna”), although the great majority of its members were recent immigrants from Russia and other countries in Eastern Europe. The Ashkenazi community continued its separate existence well into the 20th century. In 1920, the newly elected Consistory of the Jewish Communities of Bulgaria strived to bring about a union of the Ashkenazi and Sephardi communities in Varna, due to the small number of Ashkenazim and their scarce resources. The process of unification, however, took 20 years. The Bulgarian Ministry of Home Affairs, in 1926, decreed that Ashkenazi Jews in Varna (along with Sofia and Ruse) were free to have their own synagogue. Ashkenazi Jews, however, participated and worked together with Sephardi Jews in local Jewish organizations, like WIZO, the Jewish Mutual Assistance Society Ahavat Achim, and Maccabi. Twenty three Ashkenazi Jews from Varna signed a petition, in 1939, asking the Consistory to be allowed to join the Sephardi community. There were, at the time, 141 members of the community, of which 36 were immigrants to Bulgaria, of them 25 were Jews of Russian origin. Most Ashkenazi Jews were craftspeople such as hairdressers, barbers, bakers, painters, tinsmiths, etc. there were also seven merchants, and a handful with liberal professions. 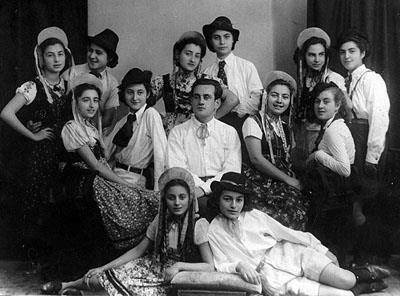 In early 1940, the Ashkenazi community of Varna ceased to exist as a separate entity, its members and property they owned united with the local Sephardi community. At the beginning of the 20th century, anti-Semitism broke out in Bulgaria. In Varna, the anti-Semitic campaign was stated publicly by the newspaper Strandja. In 1904, riots against Jews took place in Varna as well as several other cities. They were, to some extent prevented, by the authorities. The anti-Semitic atmosphere worsened, both in 1932 and again in 1934, with attacks on synagogues and Jewish property. With the outbreak of WW2, the Bulgarian government decided, on September 16, 1939, to expel all Jews with foreign citizenship living in Bulgaria. This decision affected about 4,000 individuals, mainly from Czechoslovakia, Greece, Turkey, Hungary, and Germany. They were expelled to Greece and Turkey, but those countries accepted only their nationals. Holders of other passports were eventually transferred to Varna, with the aim of putting them on board of one of the ships who still carried illegal immigrants to Eretz Israel. 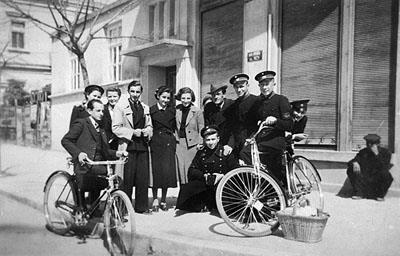 These Jewish refugees were received by the Jewish community of Varna who sheltered them in public buildings for one year. There were about 500 Jews without Bulgarian citizenship in Varna in October 1940. Under German influence, in October 1940 the Bulgarian government adopted the “Law for the Protection of the Nation” that limited the civic rights of the Jews. According to this law, implemented as of February 1941, Jews were forced to wear a yellow star, their homes and businesses were marked, and they were expelled from institutions of higher education. During 1939-1941, thousands of Jewish refugees from various countries in Eastern Europe passed through Varna on their way to Eretz Israel. On December 4, 1940, Salvador, a ship with 326 illegal immigrants from Bulgaria left for Palestine. After a stay of about one week in Istanbul, the ship continued to Eretz Israel, but on December 14, it sank close to the Turkish town of Silivri with the loss of life of 213 passengers, including 66 children. In February 1941, Dorian 2, a Romanian ship with 160 Jewish refugees from Romania and Poland arrived in Varna. Another 170 Jews from Bulgaria joined them on February 28, 1941. When Dorian 2 had to depart at the orders of the local commander of the Bulgarian army, they were forced to leave a group of 150 refugees, mainly from Yugoslavia, who was scheduled to join the journey. The next day, on March 1, 1941, the German army entered Bulgaria, and prevented the continuation of emigration. The Jews of Bulgaria were trapped inside the country without any possibility of leaving. On April 25, 1941, about 100 Yugoslav Jews were sent to Varna. Along with other Jewish refugees in Varna, they were deported to the village of Ignatiavo near Varna. The group numbered around 300 persons. They were returned to their houses only after a few months, thanks to the efforts of the Jewish community and its president Jacques (Jacob) Toledo. The Jews of Varna, as in other cities of Bulgaria, were expelled from the city. On 17 June 1943 they were deported to small villages in the countryside, having been given just three days notice and forbidden to take with them more than a few possessions. The Jews would return to the city only after the liberation of Bulgaria in September 1944. According to the figures of the Consistory, there were 1,223 Jews in Varna in the autumn of 1945. After the war, Zionist activity in Varna was renewed. The fourth conference of the Haluz movement was held in the city. By 1945, several ships that were part of the underground Jewish immigration to Eretz Israel (Aliyah Beth) left from the port of Varna. The Jews of Varna celebrated the establishment of the State of Israel with demonstrations and large meetings. In 1948, there were around 2,200 Jews in Varna out of a total population of some 80,000. Most left for Israel as part of the mass immigration of the Jews of Bulgaria from 1948-1950. During the years of the Communist regime, Jewish life practically disappeared. The Consistory was turned into a cultural and educational organization: The Public Cultural and Educational Organization of the Jews in Bulgaria (PCEOJ). It was replaced in 1990 by Shalom, the Organization of the Jews in Bulgaria. In 1991, around 300 Jews lived in the city, many of whom had intermarried. The two synagogues, the Ashkenazi and Sephardi, were nationalized. The Sephardi synagogue, around which the Jewish community was established, was used as a boxing ring for many years. By late 1990’s it was a ruin with only the exterior walls still standing. The Ashkenazi synagogue was used until, the beginning of the 1990’s, as Judo club. During late 1990, both synagogues were deserted and badly in need of restoration. Only one gravestone, dated 1878, remained from the first Jewish cemetery and it is now kept in the municipal museum. 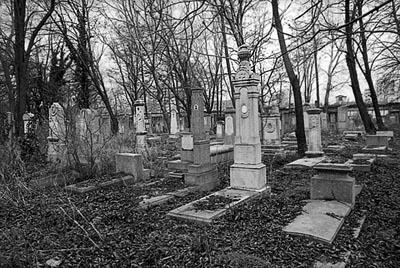 Since 1973, the burial in the Old Cemetery was stopped and a separated lot for Jews was allocated in the general cemetery. At the initiative of Shalom, the Organization of Jews in Bulgaria and with the support of the American Joint Jewish Distribution Committee, a Sunday school was opened in Varna. As of the early 2000’s, about 100 Jews were living in the city.